Located only a dozen kilometers away from the capital of Tiranë, this beautiful and historic coastal city is a pleasure to visit throughout the year, and not only in the summer! Dyrrah is the old name of this city built by the Illyrian tribe of the Taulants between the 13th and 11th centuries B.C. The soul of Durrës is the Adriatic Sea. The layers of historical traces brought to the city by this sea are infinite, layers which continuously and permanently mark the city of Durrës. 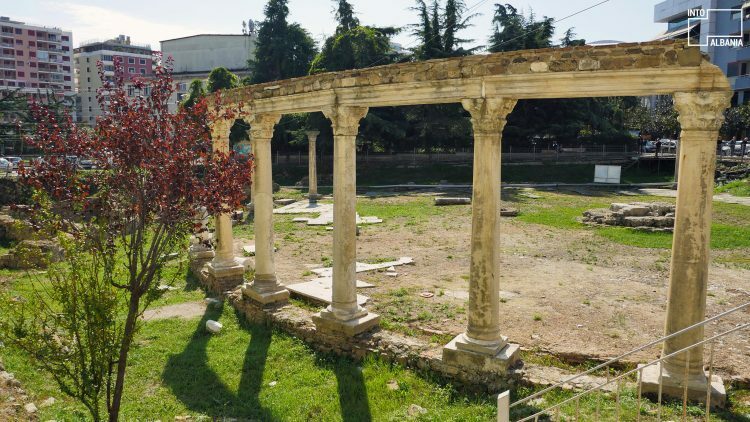 One of the best ways to get to know modern-day Durrës is by following, in tour-like fashion, the countless places, structures, monuments or objects that carry within them its rich ancient past. We have selected the top five stops that you absolutely must experience! The first stop providing a taste of the ancient city’s splendor is the Archaeological Museum of Durrës, the largest one in the country. 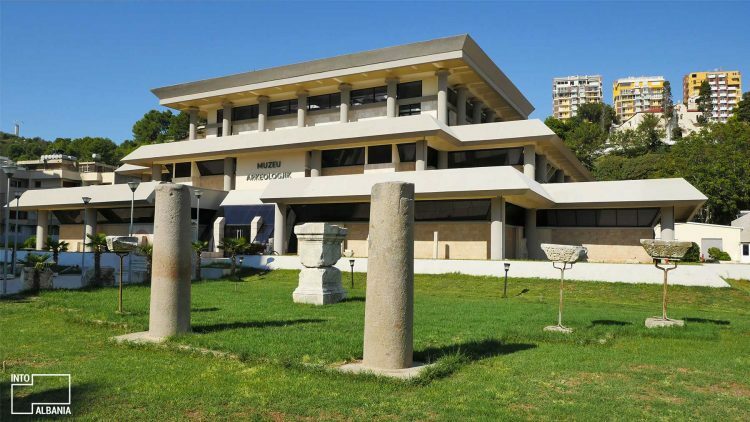 The museum includes a great number of objects belonging to Durrës’ prehistoric, archaic, classical and civic Illyrian periods, extending to the 1st century. The museum’s pavilions take you through the history of the city’s administration through the centuries, the development of its culture and ethnography, the livelihood of its inhabitants, and the city’s most significant families. According to archeological evidence, the city was dominated by Illyrian populations and characterized by civic harmony and order. 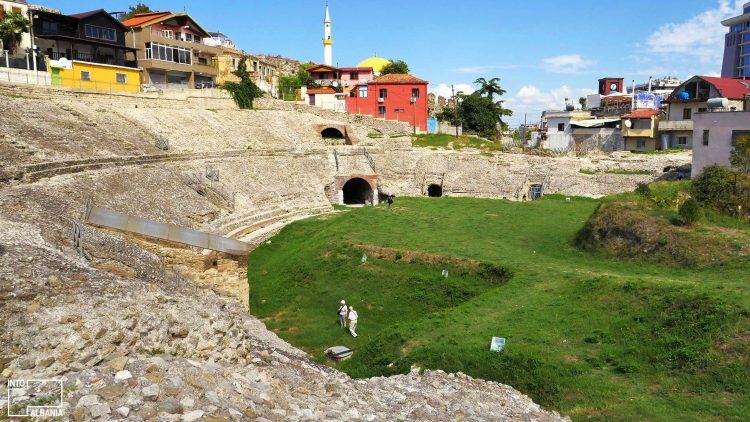 Next stop on the list should be the Durrës Amphitheater, located near the city center. Constructed during the 2nd century A.D. under Roman Emperor Trajan’s rule, the monument has a curved shape with a height of about 19 meters. Its circular shape allowed for the seated accommodation of hundreds of spectators who enjoyed watching the games of the time. The Amphitheater ruins were discovered during the last century. Fortunately, excavations in the area continue to uncover significant traces for the history of the civilized world. On the way to the Amphitheater, the visitor cannot miss the City Walls, built in blocks that have managed to survive until this very day. 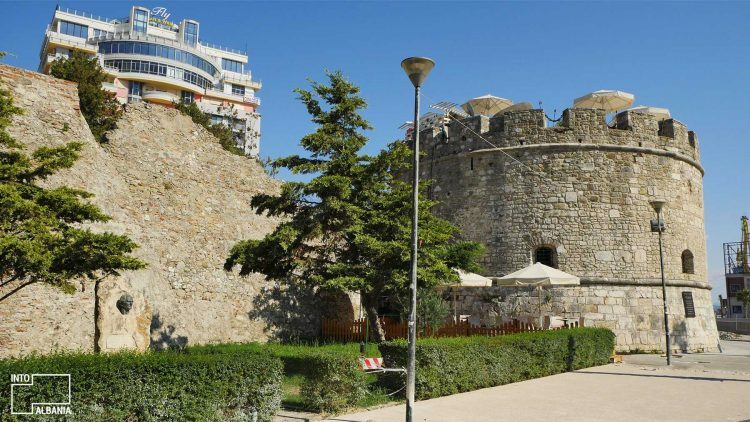 Those who have governed the city throughout the ages have left their mark on the way the surrounding walls were used as, ultimately, they were a security system that protected the city from various conquests throughout history. The massive walls seen today were built by Anastasius I, the Byzantine emperor of the 4th century A.D, who defended the city from invaders. The walls’ original height of 18 meters and considerable breadth provided an advantage against enemies of the time. Later, it was emperor Justinian who reinforced the surrounding walls by placing small observation towers above them. The Ottoman Empire was the last to leave its mark on the surrounding walls, narrowing them towards the creation of a smaller dwelling space. The architecture of our next destination, the Byzantine Forum or market square, located near the Amphitheater, reflects the typical function of an open, circular marketplace. In the market’s center, there is a podium and a well that are erected on a marble slab which covers the floor up to the colonnade. The model of the entire building and the archaeological finds date back to the period of Emperors Anastasius and Justinian at the beginning of the 4th century A.D. 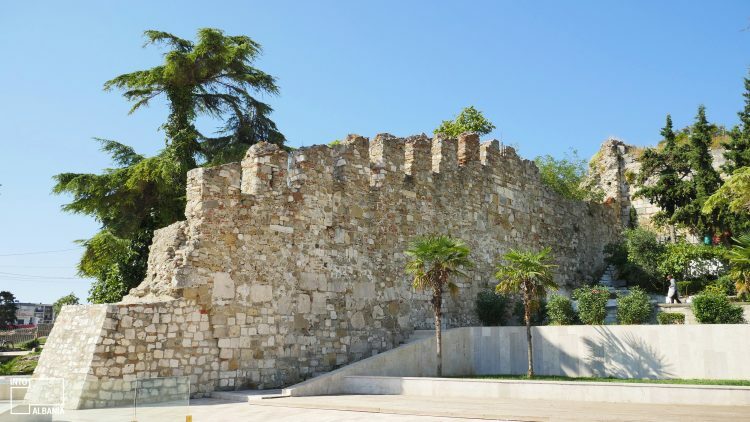 The tour through this ancient city should conclude with the Castle of Durrës, otherwise known as the Venice Tower. The circular tower, built in the 15th century on Byzantine ruins, is one of the most recognized structures of the port-city. The date of its construction is indicated by the blocks that have survived to this day, the architectural relics and the documented expeditions of many archaeologists. Tourists can enter through a decorated brick door inside this 9-meter high tower. Over the curved wall of the cylinder-shaped building, stand five small windows that look out to the sea. The tower terrace is decorated with bedrails that resemble small castles with the stone staircase winding inside.